Apparently not, because “the sorry tale of Edward Hyde” is coming to theaters. Not so fast, squealing little boy (and girls!). They aren’t simply filming the stage musical of Jekyll & Hyde, they are going to adapt it into a full fledged motion picture film (READ ALL ABOUT THE MAGIC HERE). In honor of that Godsend, we’re going to go through eleven of the oldest, strangest, and weirdest adaptions of the classic story! In May of 1887, barely even a year after the book hit shelves, Thomas Russell Sullivan and Richard Mansfield teamed up to write a four act play. 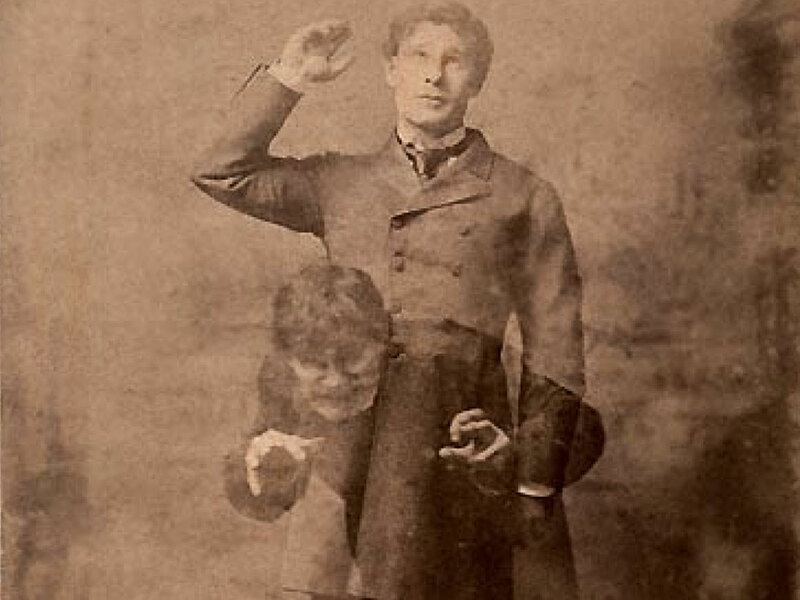 What blew audiences away was how Jekyll transformed into Hyde, which was accomplished with lights, staging, and Richard Mansfield’s facial contortions and changes in posture. The play went on tour in Britain and ran for twenty years with Mansfield enthusiastically playing the role of Mr. Hyde until his death in 1907. The plot was already being reworked here, as the play gives Jekyll a love interest, Agnes, who is the daughter of Sir Danvers Carew, a man who Mr. Hyde will eventually murder. 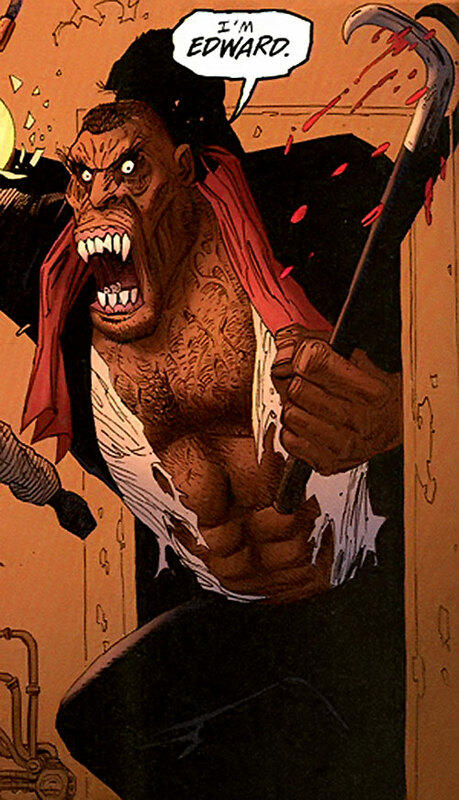 The play also ends with Mr. Hyde realizing he CANNOT transform back into Jekyll to escape the authorities, and committing suicide instead of an off-scene struggle between him and Dr. Jekyll. 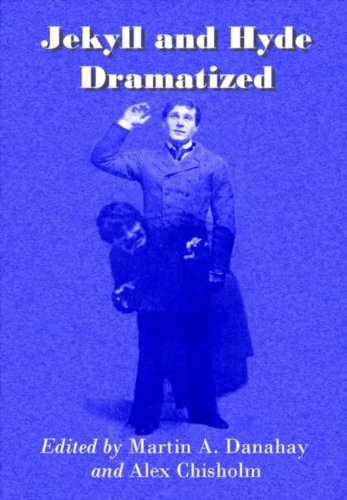 This play was adapted into a 1912 film of the same name that starred James Cruze, which is the earliest surviving Jekyll and Hyde film we still have copies of. Make the transformation scenes cool to get the audience talking about your adaption. 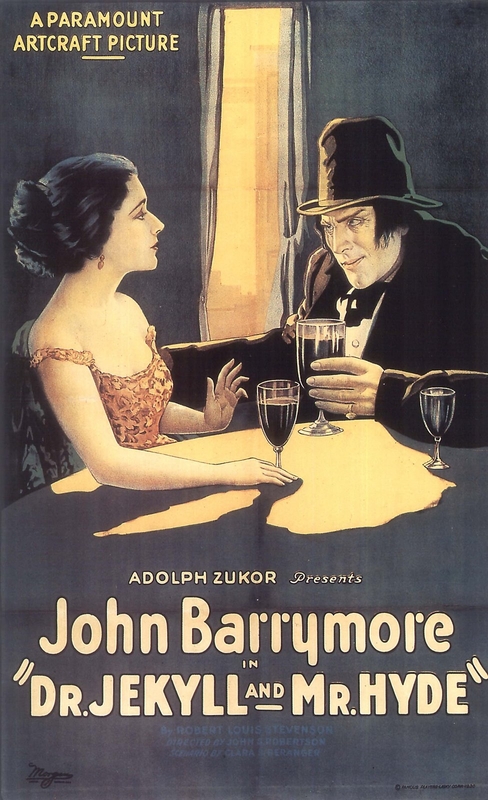 Eight years after the James Cruze film, we have the 1920 film starring John Barrymore. Again, it’s based on the Mansfield play with its love story, what with Jekyll having a fiancee called Millicent this time (not Emma) while also using the advent of film to have Hyde’s appearance become increasingly repulsive with each transformation. When the film came out reviewers, like title characters in the film, were ‘split’. Variety said “as a medium for Mr. Barrymore…As the handsome young Dr. Jekyll his natural beauty of form and feature stand him in good stead and he offers a marvelous depiction of beastiality in the transformed personality of ‘Mr. Hyde'” but called the story “ridiculous”. See how adding a cool transformations gets people talking? Before I move on, I should mention how since its release the film has however been reassessed and holds a critical consensus of 92% on Rotten Tomatoes with a average rating of 7.75/10. When making the 1931 Dr. Jekyll and Mr. Hyde film, Paramount changed the name of fiancée Muriel Carew despite the fact she doesn’t appear in the original novella but instead in the Thomas Russell Sullivan and Richard Mansfield play. They asked John Barry to play the role again, but he was under contract by MGMT, so they instead went with Frederic March. 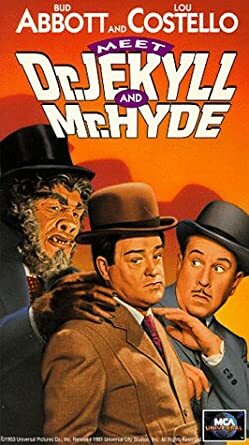 Taking into account the novella’s implication that Hyde, as embodying repressed evil, is a semi-evolved simian-like being, the film stuffed canine fangs and had Frederic March dress up as a monkey. He won an Academy Award. 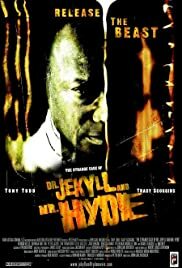 The film also pronounces Jekyll as JEE-kal (as in seek, get in it? Hyde and seek?) which was how Robert Louis Stevenson intended it to be pronounced. It was remade in 1941 starring Spencer Tracy and that film pronounced Jekyll as Jek-el (the way you’ve been pronouncing it for this whole article). IMAGE VIA F THIS MOVIE! So, the marriage stays but the names change and you get awards for great makeup. Add in a good script, good production, a good director, good acting, and you get an award. Where can we go next? 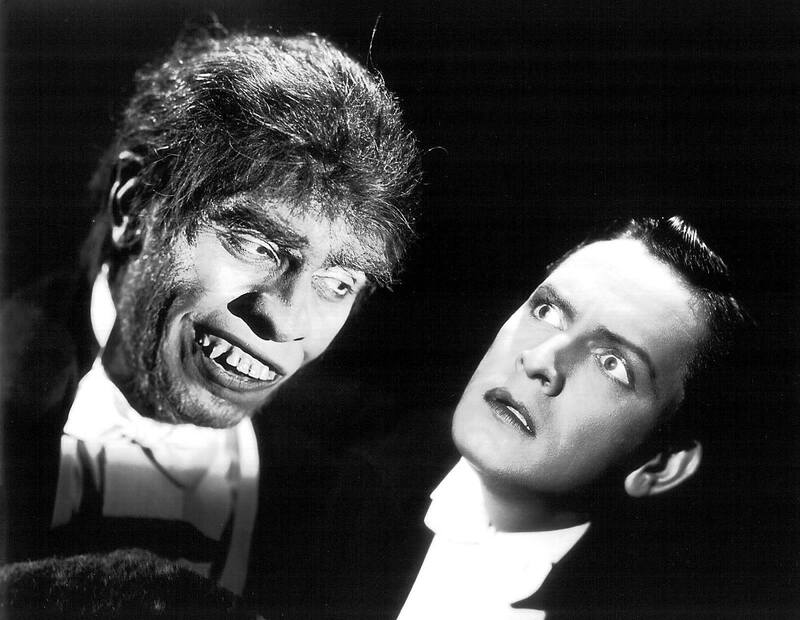 In 1953, Boris Karloff of Frankenstein fame played Dr. Jekyll in Abbott and Costello Meet Dr. Jekyll and Mr. Hyde. There is no fiancee here, but Jekyll is infatuated with a woman named Vicky who intends to marry another man called Bruce Adams. 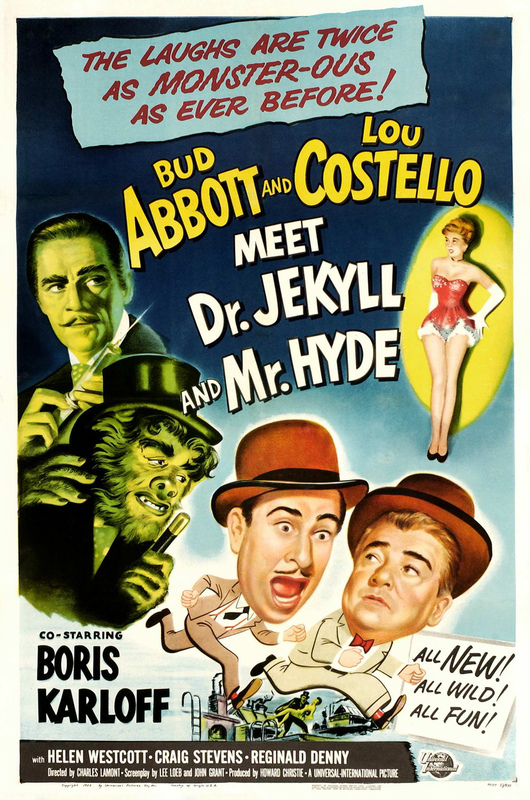 Costello also turns into a large mouse, there’s confusion about who is who, and ends with Abbott and Costello getting chased out of the office by a bunch of monsters. On Rotten Tomatoes, critic Steve Crum of Kansas City says “Bud and Lou meet another monster for infrequent laughs. In 1971 came the British film, I, Monster. 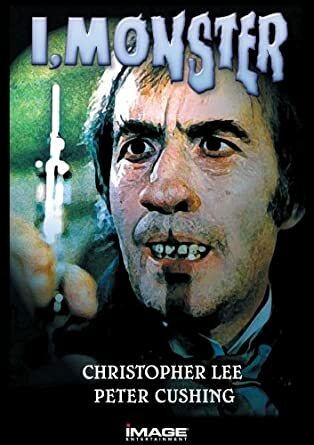 It stars Christopher Lee and Peter Cushing! Awesome. And it has a lot of Stevenson’s plot and dialogue and there’s no marriage plot and it has a 92% on Rotten Tomatoes with an average rating of 7.75/10. 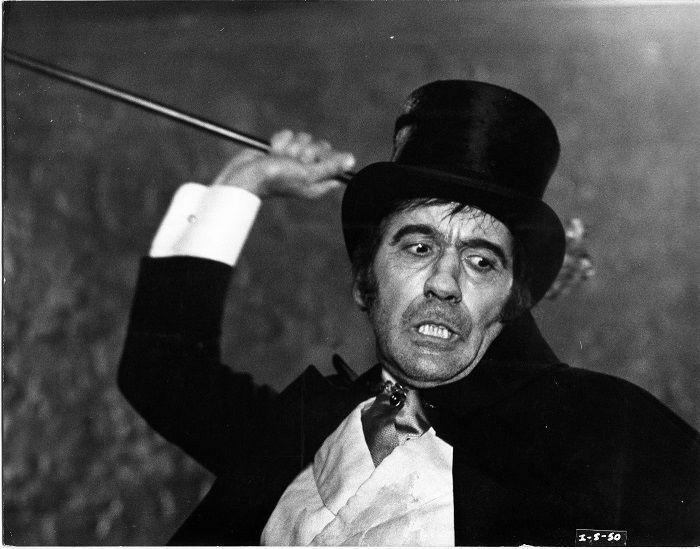 Let me say that again: Christopher Lee is Mr. Hyde. 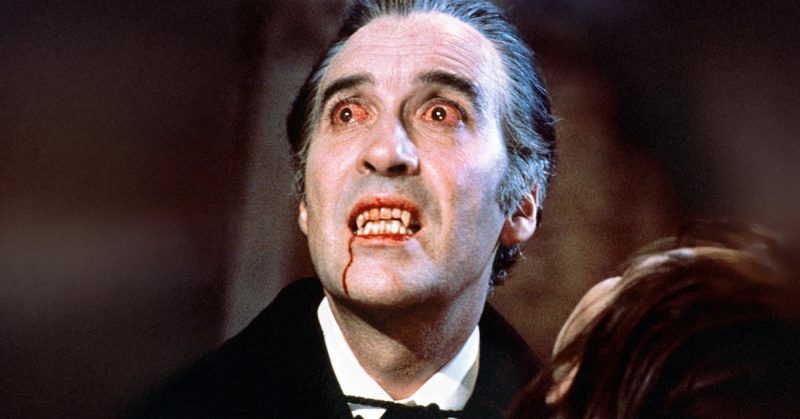 He was also Dracula in the 1958 Hammer film. And you know who played Van Helsing in that movie? Peter Cushing. Also Christopher Lee was up to play Grand Moff Tarkin in the first Star wars (or the fourth, depending on how you look at it), but he said no so Peter Cushing took the role. And that’s why Christopher Lee played Count Dooku in Attack of the Clones, the fifth or second Star wars. For some strange reason Dr. Jekyll/Mr. Hyde is now Dr. Charles Marlowe/Mr. Edward Blake but Peter Cushing is still called Utterson. Why? For some big reveal? Oh well. Dr. Charles Marlowe is a Freudian psychotherapist and honestly that with the whole ‘monster inside you’ concept. Christopher Lee and Peter Cushing for the win! Of course there’s a “Dr. 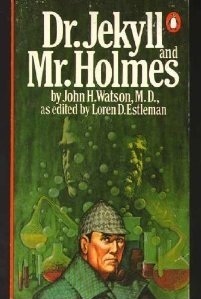 Jekyll meets Sherlock Holmes.” It’s a 1979 novel by Loren D. Estleman titled Dr. Jekyll and Mr. Holmes and is a ‘retelling’ of Stevenson’s story. See, Utterson hired Sherlock Holmes to figure out what the heck was going on. It’s basically a behind-the-scenes story that takes place concurrently with the original. Of course, Sherlock figures out that Dr. Jekyll is Mr. Hyde and confronts him, but upon realizing Mr. Hyde will never die uses his brilliant intellect to find the best solution…and mercy kills Jekyll. In the last chapter Holmes meets with…Robert Louis Stevenson! He must be having a weird time, flashbacking to the Chantrelle trial, but the novel leaves that out and the fact that no newspaper apparently ever reported on the Hyde case. Strange, you’d think a half ape-scientist would get headlines, but whatever. It’s a story, and it ends with Stevenson promising to leave Holmes out of his novella so no one ever learns he killed Jekyll because that would be messy. 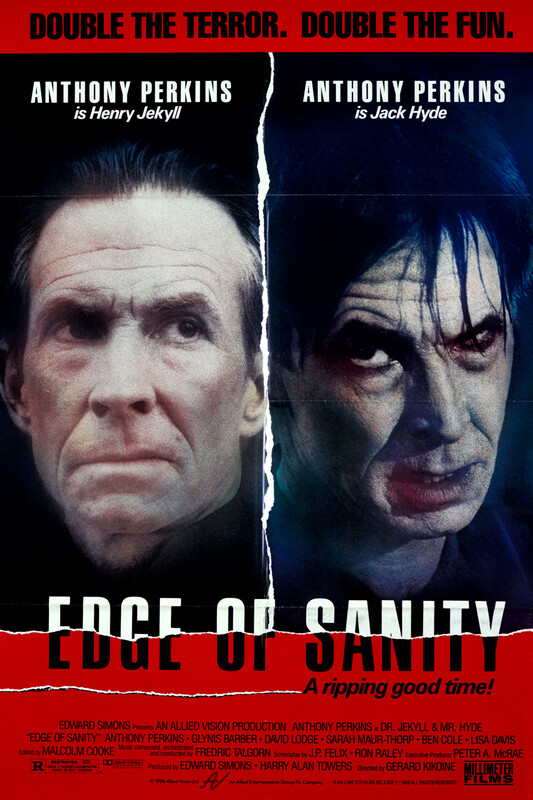 In 1989, a low budget horror film adaptation of the novella called Edge of Sanity came out staring Anthony Perkins of Psycho fame stared as Jekyll and, wait for it, Mr. Jack “The Ripper” Hyde. It has no marriage plot, but again here’s perfect casting. What’s gonna happen? TV Guide said the film “obviously isn’t meant to be taken seriously, despite its expensive production values and surrealistic photography—both surprisingly good. But the rest of EDGE OF SANITY (shot mostly in Budapest with some English exteriors) doesn’t measure up to its technical proficiency”. Good production values and photography only grants you one star, and thus Edge of Sanity got 1 out of 4 stars. And that was one of the better reviews. “Tasteless, pointless, and unpleasant,” were what Leonard Martin, film credit, film historian, creator of the Walt Disney Treasures, called the film in his book Leonard Maltin’s 2010 Movie Guide. This is almost like having Sherlock Holmes meet “Jack The Ripper”. 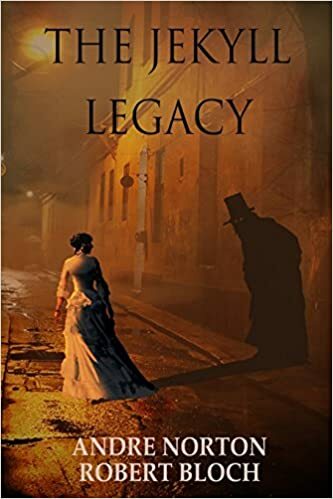 Interestingly enough, the next year would see the publication of The Jekyll Legacy by the author of Psycho, Robert Bloch. Andre Norton, fantasy goddess and creator of Elvenbane, or the Halfblood Chronicles, co-authored this unofficial sequel to Stevenson’s original novella. It follows Hester Lane, a reporter from Canada, who discovers she’s Jekyll’s heir around the time someone continues with Jekyll’s experiments. Kirkus described the novel as having its “virtues come largely in looking at Victorian morals and the works of the Salvation Army, with the horror lightly handled,” which is interesting consider Jekyll’s butler Poole and Mr. Utterson given closure in the form of a bludgeoning. Sequels are weird when your titular character is dead, just ask The Saw movies. 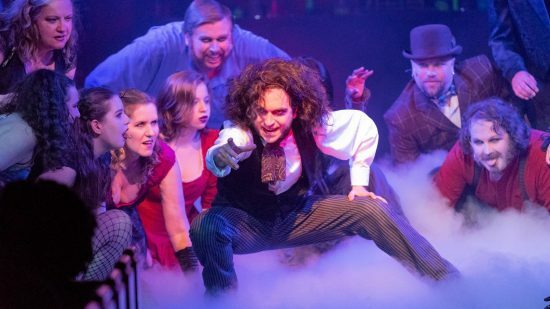 Gracing the stage came the musical adaptation of Jekyll and Hyde. Conceived by Frank Wildhorn and Steven Cuden, the musical actually premiered in Houston, Texas in 1990 at the Alley Theatre. It did okay. Kidding! Playbill.com notes that “box office records were broken, and a recording based on the staging was released. The show’s big hits, ‘Someone Like You’ and ‘This is the Moment,’ were heard on that recording (which has sold more than 150,000 copies). This remarkable success blasted the musical onto a national tour throughout a national tour of the United States before gracing Broadway in 1997. The story throws its own spin on a classic tale that allows it to sing through the ages. Come 1999 and Alan Moore, creator of Watchmen and V for Vendetta and all time wizard-impersonator, had released The League of Extraordinary Gentlemen, a three volume comic book with a hero squad that had Captain Nero, Dr. Jekyll/Mr, Hyde, and Dorian Grey. If this team were the Avengers, he’d be the Incredible Hulk. 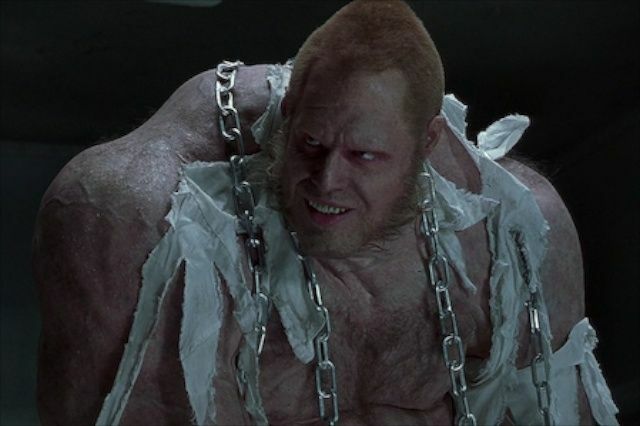 Then came the 2003 film adaptation where Mr. Hyde got the best treatment of any character, but that’s not saying much. ‘Why?’ I hear you asked. With no marriage plot, the original plot with retained with a few changed. The first change is the film is set in modern times instead of Victorian England. Okay, at least it’s new. In an effort to update the character, a character is made into a female and her profession is changed. Her name? Detective Karen Utterson. Since I can’t ask the patrons at the thirty theaters in Louisiana and Virginia that showed this independent film studio’s debut feature, I have to assume they loved it as much as I did. In 2017’s The Mummy, Russell Crowe appeared as Nick Fury-esque Dr.Jekyll/Mr. Hyde. It was the first and last film in the Dark Universe. There has never been a writer quite as poignant and iconic as Joan Didion; she is a legend in every right. Yet, despite her fame spanning decades and her immense collection of publications, she is someone whose work we rarely see adapted. So when I heard artist and director Lars Jan was adapting the entirety of Didion’s essay “The White Album” for the stage, I couldn’t help but be excited. And I wasn’t let down. Jan’s is a truly breathtaking show that uniquely blends the way in which “The White Album” is a time capsule of 70s California, with the political discourse of the modern age. It was an incredible ode to Didion and one of her most beautiful works. Jan’s piece feels so relevant today and I can’t stress enough how incredibly poignant the experience was. The use of projections, music, movement and song created an deeply powerful experience. The show will take the stage again April 5th – 7th at CAP UCLA presented by the Center Theatre Group and if you have the chance you must check it out; this isn’t something you want to miss! I was fortunate enough to speak with Jan about the journey that led to creating this adaptation. Alex McKelley: Thanks so much for taking the time to talk to me, I caught the show and just adored it; it was such a powerful experience. I’m a huge fan of Didion and seeing her work adapted to the stage was so exciting because that’s something we never really see done. Do you want to talk a little bit about the process of bringing such a prolific writer’s work to the stage? Lars Jan: Yeah, I was concerned about that, I mean, I’m a Didion fan too but people hold her work so close and her work also never gets adapted in any way. I was sure there would be people who would definitely see through a lense of what they wanted and didn’t want to happen. But, the response has been really overwhelmingly engaged and positive and great. And we hit on every word. The essay is thirty-eight pages and we really made sure to include all of it. AM: And that came across so well. It really is a powerful essay. What was it that made you decide that this would be the one to bring to life? LJ: Well, I read it in high school and there was something about Didion’s wit and kind of nihilistic streak that I think responded to an impressionable sixteen-year-old, and I was also interested in these other characters that she was covering but I didn’t really know that much about them; so she also inspired me to learn more about the period. And as I matured and became an artist myself I’ve just always been such a huge fan of her writing. Word-for-word, she just has the most beautiful sentence construction. One of the things I love about “The White Album” in particular is the really unique collage structure. AM: I completely agree, the essay is written in such an interesting way by blending multiple stories from that time period together, and it really is such a time-capsule of that era. Would you draw a lot of similarities between the social and political climate of then and that of now? LJ: You know, I definitely don’t think that history necessarily repeats itself, but there is that Mark Twain quote, “but it does rhyme.” So, I do think there are a lot of rhymes right now. And I think you can really look at Black Lives Matter and connect that to the legacy of the Black Panthers; though they were different movements, the source of their struggle is inherently the same. Them, along with the student movements of the late sixties are very inspiring to me. I think we’ve had flare-ups of similar movements asking questions about the structure of society and you kind of see the genealogy there. AM: Yeah, there really seems to be such a parallel between then and now, it’s almost eerie in a way. LJ: Yeah, and it’s been fifty-years since that essay but anniversaries and those things, they’re just numbers. And I guess those numbers are helpful to induce you to take some stock about what has and has not changed; whether it’s a birthday or an anniversary or a historical event. AM: Completely. I think that’s what makes seeing the piece now feel that much more important and powerful. Were there any parts of the essay that you found difficult to bring to life or that you weren’t exactly sure how to go about adapting? Anything you found challenging along the journey? LJ: Yeah, there were lots of challenging thing but the biggest challenge was figuring out how to work with this inner audience. There are about twenty people onstage and their show actually starts before the theatre audience. And they’re able to look at the works that inspired this piece and look at the records of music from this period that are all in the room, along with Didion’s “to pack and wear” list. And, they do this sort of exercise together and watch the first portion of the essay with the rest of the audience. And they sort of, themselves, transform into this Jim Morrison dance party that then turns into a Black Panthers chant that eventually turns into the student protests until the police eject them out, and then they watch the rest of the performance. So, they really experience a different show but the two shows are woven together. So rehearsing that is impossible because you can only work with those people one time because, the experience only makes sense one time since they’re not really collaborators, they’re participating. They’re also just in a show that happens to be happening simultaneously that’s also participatory. AM: What was it that inspired you to add this sort of inner-audience? LJ: I was just thinking about 1960 and 2018 and, in some ways, 2068. I teach at California Institute of the Arts and I talk to a lot of kids in their teens and twenties about things in the sixties and the things that were coming up in “The White Album” and I just realized that there was very little fluency of specific characters and movements and the sort of historical precedent of young people getting organized in order to kind of push a very different agenda. And, I thought that fluency was important. I also realized that the characters in the essay that Didion’s writing about when she’s writing about them they’re almost all in their twenties. Everybody who she writes about in that essay is a kid, pretty much. And you just see how much radical potential energy is encapsulated in those people. It really is a willingness to fundamentally reconsider the direction that things are headed. AM: Absolutely, that makes perfect sense. And that’s very much encapsulated in the essay and within the inner-audience, which is what makes the piece feel both so modern and historical and I really appreciated the opportunity to go see it. Thanks again for taking the time to talk! Tom Hanks will star alongside his wife Rita Wilson in the Shakespeare Center of Los Angeles’ production of Shakespeare’s play Henry IV. The show will run for twenty-four performances between June 5th and July 1st 2018 and will take place at the Japanese Garden on the West Los Angeles Veterans Affairs campus. Hanks will play Sir John Falstaff. Shakespeare’s play follows the reign of King Henry IV, and Sullivan’s version will focus on the story of Hanks’ Falstaff and the young Prince Hal who grows up to become King. The Shakespeare Center of Los Angeles’s 25th Annual Simply Shakespeare benefit honored Hanks and Wilson, as they have been sponsors for twenty-six years.
. On top of this, he is a remarkably gif-able human, and there are many great Tom Hanks gifs, but below is potentially my favorite. Enjoy.